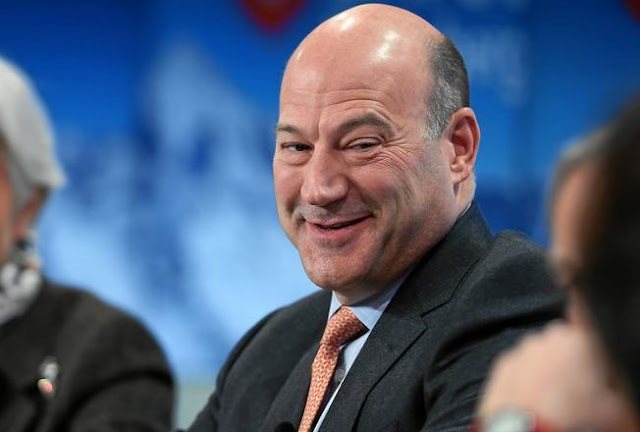 Let's put it this way, there are some who know Gary Cohn from his Goldman Sachs days and they don't exactly see Cohn as a deep thinker. Another former colleague tried to imagine how a Chairman Cohn would handle silly questions from members of Congress or reporters, then started laughing. Of course, no one should be in charge of money printing at the Fed. There should be none. But at least the Keynesian eggheads, who usually get the position, deep down know they are playing with fire with their money printing and keep it somewhat restrained. It is the guys like Cohn who have no economic background, and on top of this he is dyslexic, who can really let the money printing get out of control. G. William Miller, a corporate CEO (and a lawyer! ), comes to mind as an object lesson in an out of control Fed chairman. Jimmy Carter put him in at the Fed. By early 1980, inflation was running at 14 percent per year. I know a top Fed assistant who worked at the Fed during the Miller, Paul Volcker and Alan Greenspan years at the Fed. She told me that before each Fed FOMC monetary policy meeting the Fed chairman gets a briefing of the current monetary and economic situation. She said that she and other assistants could tell by the creases at the staple holding the pages together that Greenspan read the entire briefings. Volcker read the 3 page lead summary to the briefing and there were no creases at all in the briefings given to Miller. If we've had deep thinkers at the Fed, how has that made a difference? They all sing from the same hymn book. It seems worse having deep thinkers, because then folks give them more deference.